In small towns economic diversification and revitalization is a challenging non-linear process. Due to losing their primary economic base (e.g. extractive industries, agriculture, manufacturing, etc. ), many rural communities in Appalachia are confronting their youth leaving home never to return while others are seeing a large non-labor force enter the region, retirees. This shift has exacerbated the difficulty of accessing public services in these places. Healthcare, education, and public transportation are among major challenges for rural areas due to their low population densities. Limited access to public services not only shapes different aspects of current residents’ quality of life, but also dissuades potential in-migrants, investors, and other groups who might otherwise contribute to the economic diversification of these areas to take an interest in them. One of the most popular approaches to economic diversification in the Appalachian region today in an increasingly post-coal economy is promoting art-based entrepreneur spaces or makerspaces. On Friday, October 12th, one my colleagues and I had the chance to participate in the grand opening of Generate, Renew, Innovate and Design (GRID), an initiative started by BridgeValley Community and Technical College in Montgomery, WVA as a response to community and economic decline in this small Appalachian town during the past two decades. Located in the heart of Appalachian Mountains, until very recently (May 2017), Montgomery was home to West Virginia University Institute of Technology (WVU Tech). By losing two of its major economic bases (i.e., coal mining and WVTech), Montgomery is searching for new ways of living. 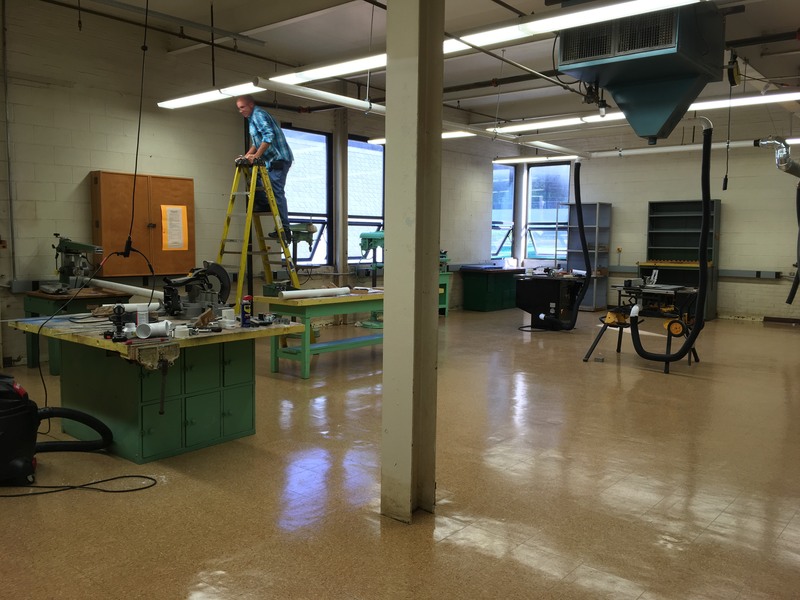 In this effort, the college has repurposed a WVU Tech building into the GRID to include studio spaces for welding, 3-D printing, robotics, various arts and crafts media, retail spaces for artists, while also retaining some original labs and classroom spaces for college courses. While the building has had leaking roof issues, overall it appeared in decent shape. We had the opportunity to meet and talk to several artists, emeritus faculty, and a few small business owners living in the region. The workshops we attended included 2 hours of video-conference style presentation of tips from a trained Google representative (based in Delaware) about how to use Google platforms to promote a small business. Google hosts free workshops on a regular basis for registered businesses, offers regional photography services (for a fee), hosts business websites, and now offers detailed analytics so that business owners can see what keywords people are searching for, when and how long they visit various pages, and how often a visit leads to a sale or some other action (a text or call to the business listing). The third workshop was in person with Terry Cyfers, the center manager for the WV Small Business Development Center. The discussion was mainly focused on how to use a basic business model to price goods and services, and to retain customer relationships rather than always start anew. The instructor also recommended several entrepreneur book titles, such as “The Lean Start Up,” “The Strategy for Strategy,” and “Business Model Generation” by Osterwalder. All in all, while the workshops gave participants and potential entrepreneurs a number of tips to start, maintain and expand their businesses, the network and exchange of experiences during the sessions were also valuable components of GRID gatherings.